September 8 marks the passing of Willard Frank Libby. Libby was the American chemist who came up with the dating technique known as carbon dating. 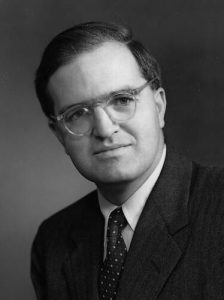 Libby was a professor at the University of California Berkeley when Gilbert Lewis was creating the Chemistry Department famous for producing numerous advancements in radiochemistry. Libby studied background and natural radioactivity and developed sensitive detection devices used to measure weak radioactivity. Like many of the Berkeley chemists, he was part of the Manhattan Project during World War II. His involvement centered around developing the gaseous diffusion method of separating U-238 from U-235. 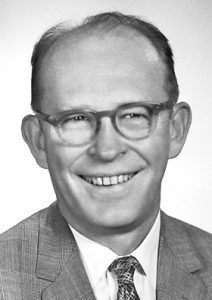 Libby was most famous for the team he formed with two of his students, James Arnold and Ernie Anderson and their development of carbon-14 dating. Carbon-14 is a radioactive isotope of carbon that emits a beta-particle, converting itself into Nitrogen-14. Carbon-14 is formed from interactions between cosmic rays and nitrogen in the atmosphere. This carbon bonds with oxygen present in the atmosphere to form carbon dioxide and mixes with the carbon dioxide already present. The rate of radioactive carbon dioxide formation is believed to be constant and the ratio of radioactive carbon dioxide to nonradioactive carbon dioxide is also believed to be constant. Every living thing interacts with this carbon dioxide. When living things exchange carbon into and out of their systems through respiration. The ratio of carbon-14 and carbon-12 will be constant throughout their lifetime. When they die, they stop taking in this carbon mixture. Carbon-12 is stable. After time passes, the carbon-12 in the formerly living thing will remain in place. The carbon-14 however, will continue to decay into nitrogen and slowly disappear. The half life of carbon-14 is 5730 years. That means the activity of a sample of carbon will decrease by half every 5730 years. Since the activity of atmospheric carbon-14 is known, (one gram of atmospheric carbon has an activity of approximately 15 disintegrations per minute) it can be compared to the activity in the once living specimen. This can, in turn, be used to calculate the time that has passed since the specimen stopped breathing. This technique can be used to date samples of formally living tissue such as plants, cloth, and animals. The practical limit of carbon dating is approximately 50,000 years because the activity would be too low to measure accurately. There are methods available to increase detection using linear accelerators, increasing the upper age limit to 100,000 years. They tested their technique on old redwood trees. The carbon results were compared to the ring count in the tree’s cross section and found a close correlation. They would eventually test wood from the Egyptian tomb of Pharaoh Sesostris, whose year of death was known. They applied their technique to the papyrus of the Dead Sea scrolls and on bread from Pompeii. They also showed the last ice age in America was 15,000 years sooner than previously believed. This technique brought a new powerful tool for archaeologists and geologists. 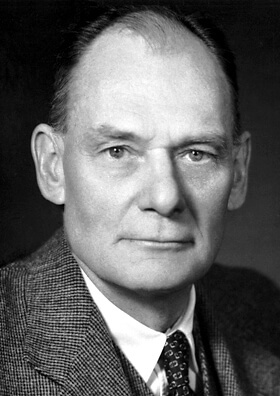 In recognition of its contribution to these sciences, Libby received the 1960 Nobel Prize in Chemistry. He would find a similar technique that uses naturally occurring tritium (Hydrogen-3) to date water. 2009 – Aage Niels Bohr died. Bohr was a Danish physicist who shares the 1975 Nobel Prize in Physics with Ben Mottelson and James Rainwater for their explanation of the asymmetrical shapes of particular atomic nuclei. 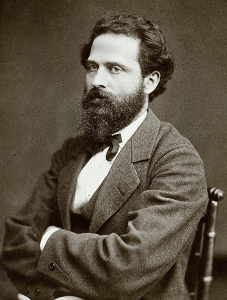 Bohr and Mottelson provided experimental evidence to support Rainwater’s theories involving the rotation of a non-spherical atomic nucleus. Aage Bohr was the son of Niels Bohr of the Bohr model fame. Aage worked with his father during World War II in the Tube Alloys, Britain’s atomic bomb project. 1985 – John Franklin Enders died. Enders was an American microbiologist who shares the 1954 Nobel Prize in Medicine with Thomas Weller and Frederick Robbins for their work with the poliomyelitis virus which causes polio. They discovered a means to grow the virus in a medium other than the nervous fibers it naturally infects. This allowed more of the virus to be produced at a time in controlled environments. This made it much easier to make an effective vaccine. They used these methods later with the virus that causes measles that led to a vaccine. 1981 – Hideki Yukawa died. 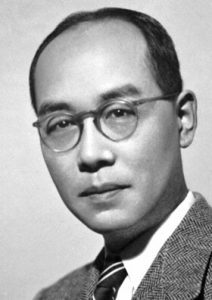 Yukawa was a Japanese theoretical physicist who was awarded the 1949 Nobel Prize in Physics for his prediction of the meson particles in explaining the forces that hold a nucleus together. He predicted the existence of a particle that functioned as a carrier for the strong nuclear force that holds together the positively charged nucleus. The pion particle is an important particle in explaining the strong nuclear force and was first detected by César Lattes in 1947. This discovery verified Yukawa’s theories and advanced the understanding of nuclear physics. 1980 – Willard Frank Libby died. 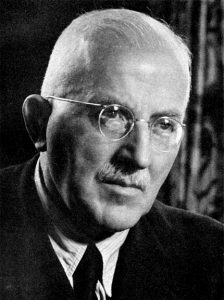 1965 – Hermann Staudinger died. 1918 – Derek H.R. Barton was born. Barton was a British organic chemist who shares the 1969 Nobel Prize in Chemistry with Odd Hassel for their development of conformational analysis. Conformational analysis is the study of the three-dimensional structure of a molecule. Barton showed molecules could be assigned a preferred conformation and this information could be used to derive the geometry of other similar molecules. 1894 – Hermann von Helmholtz died. 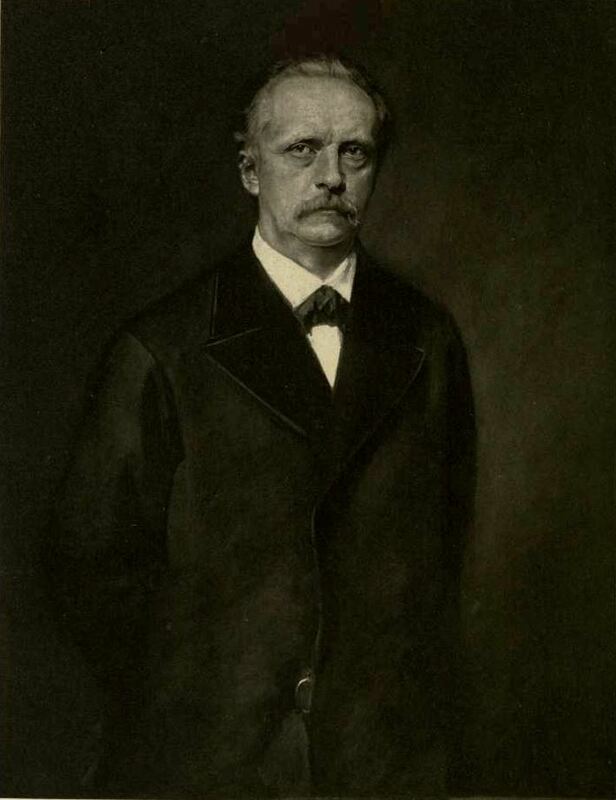 Helmholtz was a German physicist and physician who introduced the conservation of energy to thermodynamics. He related mechanical work, heat, light, electricity, and magnetism by considering them as a single pervasive force, or energy. He made contributions to the understanding of the physiology of vision and hearing and invented the ophthalmoscope to examine the inner eye. Read more about Helmholtz at Today in Science History – August 31. 1848 – Viktor Meyer was born. Meyer was a German chemist who created a device to accurately determine vapor densities of inorganic substances at high temperatures. This allowed him to make accurate measurements of atomic weights of elements. He also discovered the heterocyclic compound thiophene while investigating the vapor density of benzene.